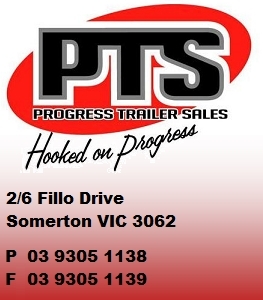 As part of the day to day running of the Progress Trailer Sales (PTS) business we collect and store information about our customers. This information is stored securely and only used for the purposes of providing our customers with the best possible service. We understand that your privacy is important to you and we take every possible measure to ensure that your information is secure. To update, change or request removal of your personal information from our database please email admin@progresstrailers.com.au or call 03 9305 1138.